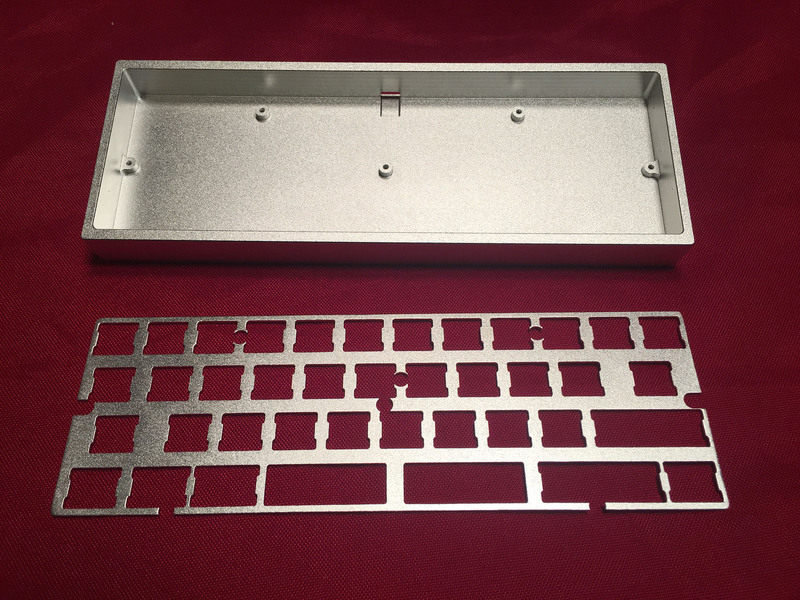 The AMJ40 – 40 Percent Keyboard with Aluminum case and plate. 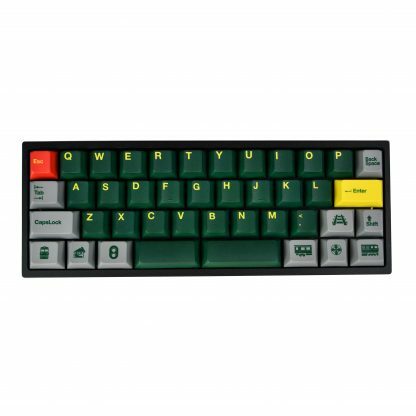 Please read everything below before ordering to understand the available configurations/layouts. 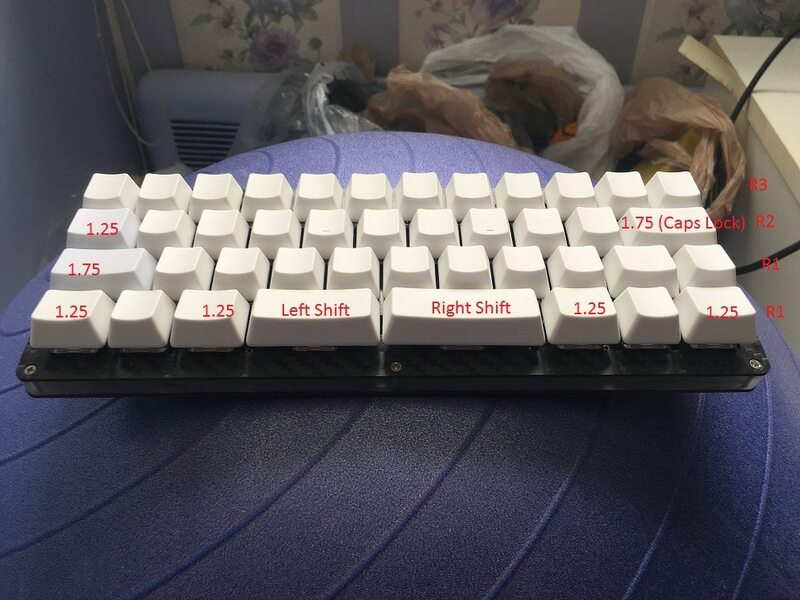 Please choose configuration again. 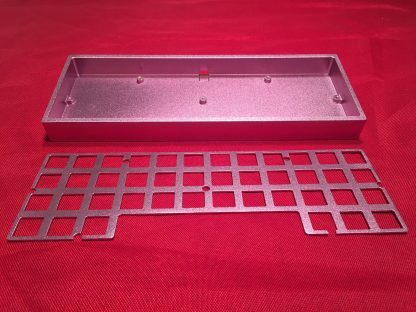 This determines the add-ons needed to build the board, if you wish to purchase them. 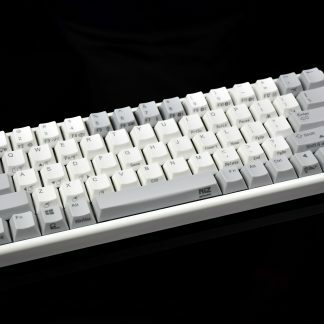 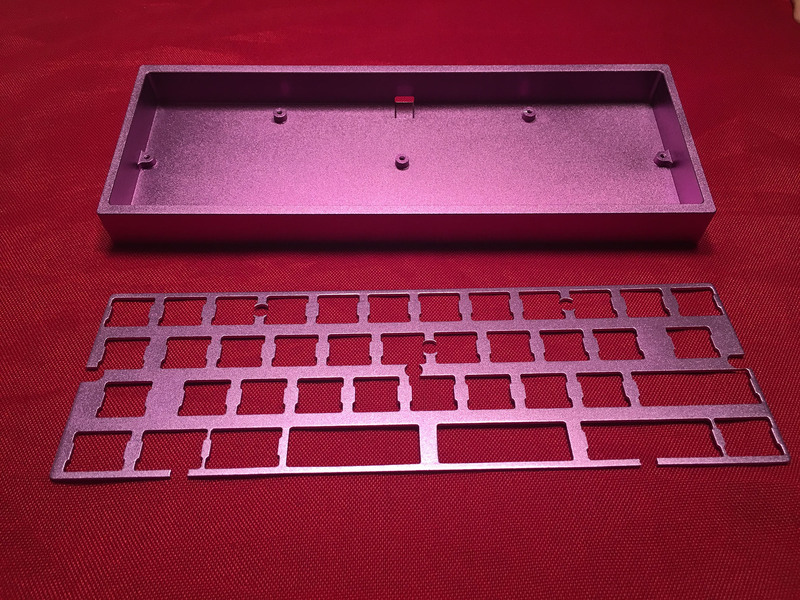 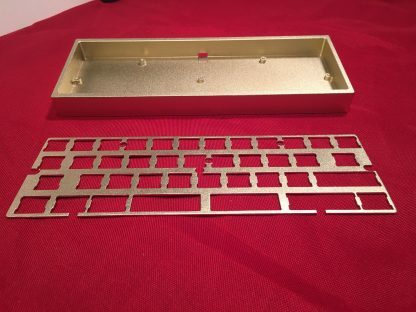 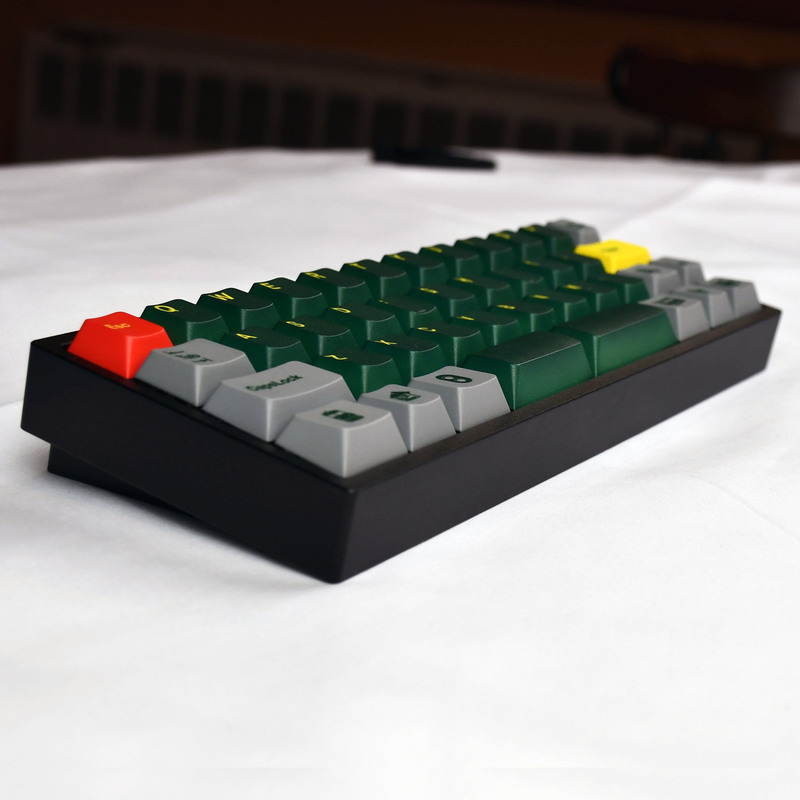 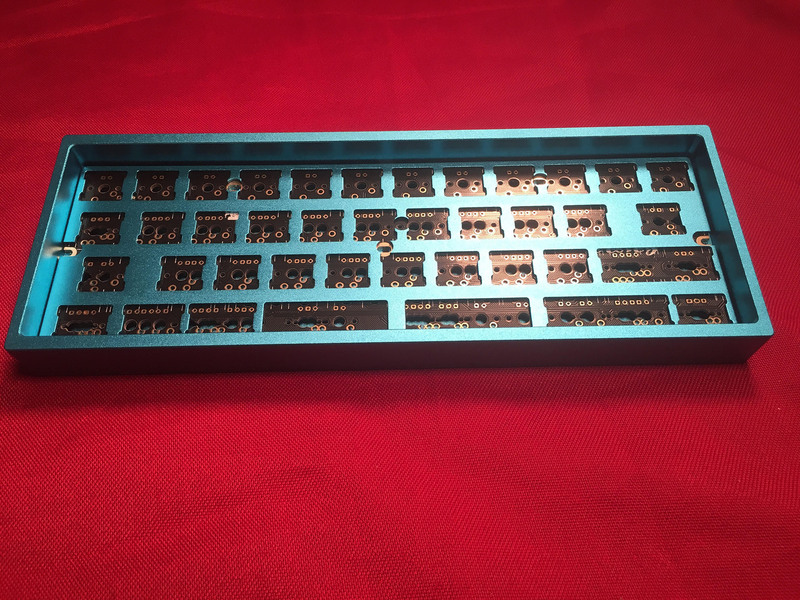 This is the AMJ40 – A 40% keyboard with a high quality PCB and an anodized aluminum case and plate. 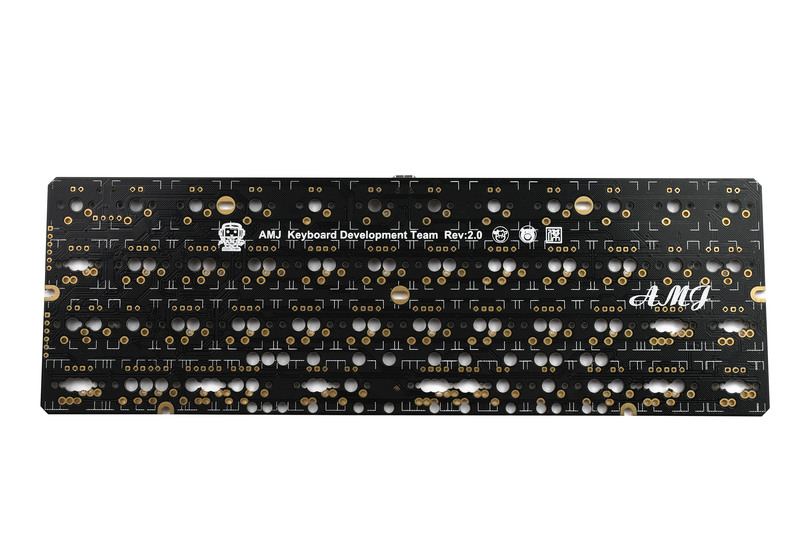 The AMJ40 comes in two main configurations: Staggered or Ortholinear. 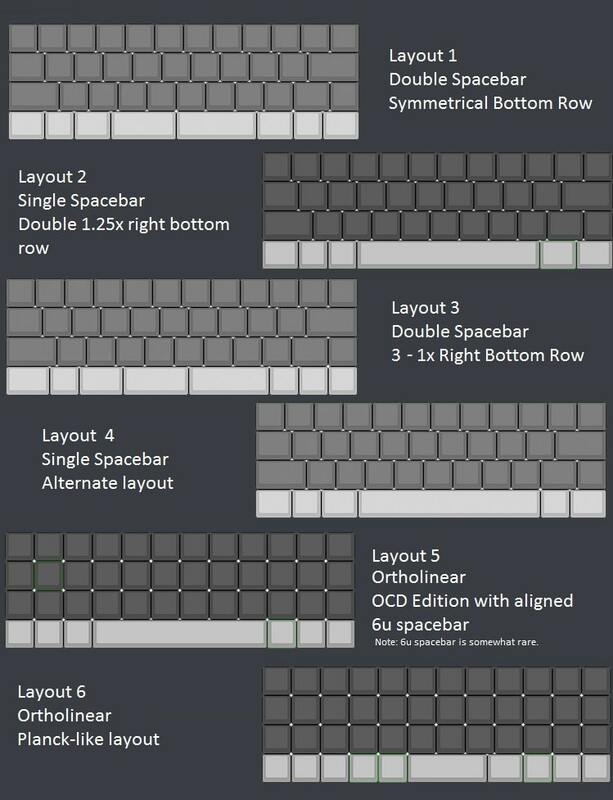 There are 4 possible layouts for Staggered and 2 possible layouts for Ortholinear. 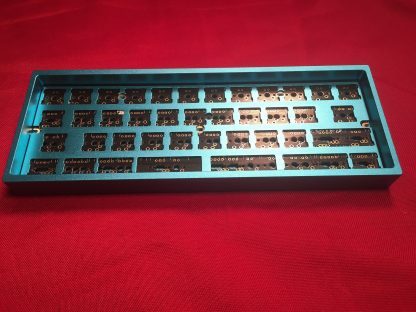 While the PCBs are the same for either Staggered or Ortholinear, the plates are different. 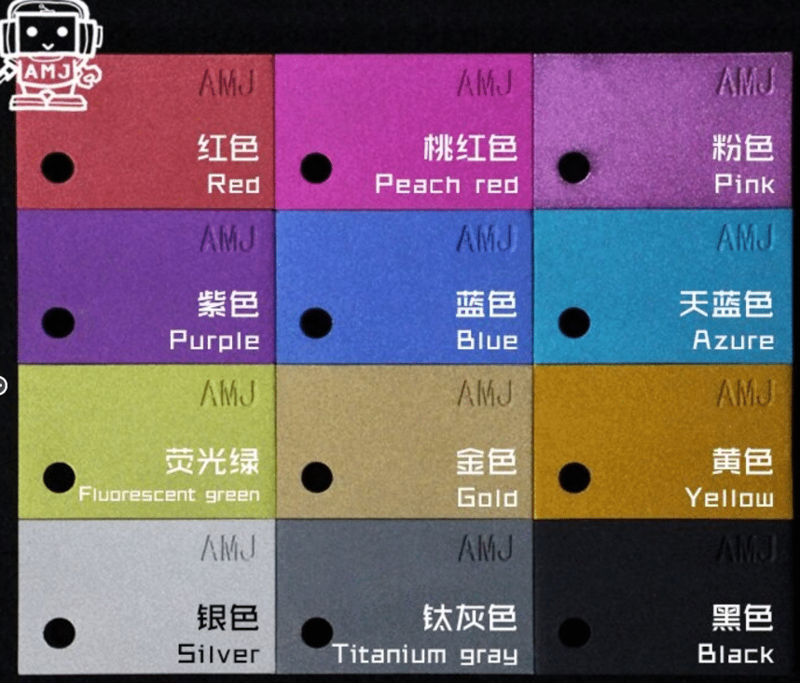 There are many different combinations to choose from, so please carefully take a look at what is available below. If you are purchasing from the U.S., you may purchase anything listed below or anything else in the store to include with your order. If you are international, you may only add the below items to your order unless you contact us on Discord with a special request. 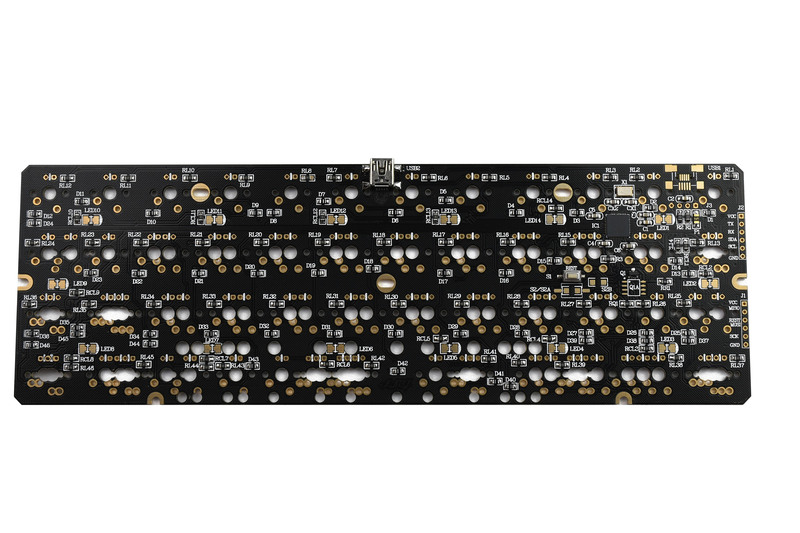 The AMJ40 requires stabilizers, LEDs, switches, and mini USB cable to complete the build. Staggered layouts requires 42 switches. 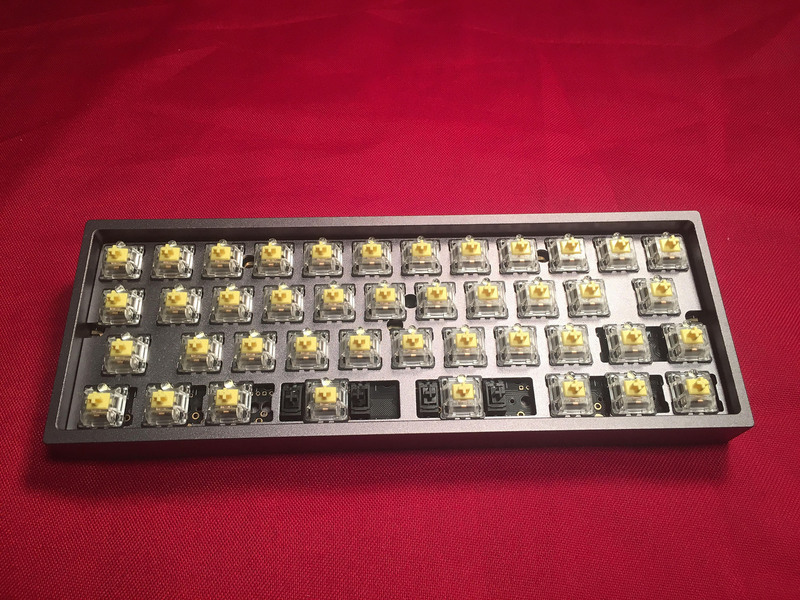 Ortholinear layouts require 46 switches. 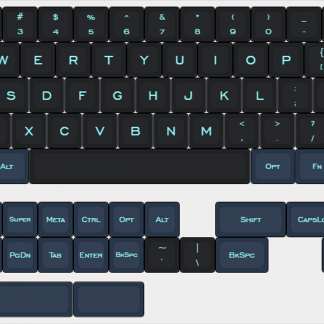 See 6 possible layouts below. 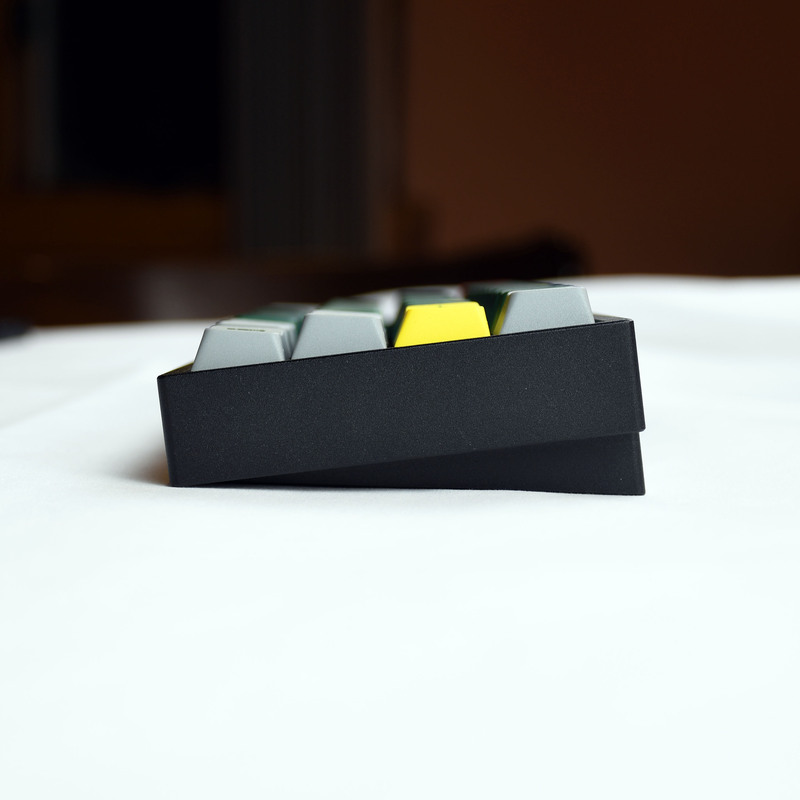 Layouts 1 and 3 need two 2u stabilizers. 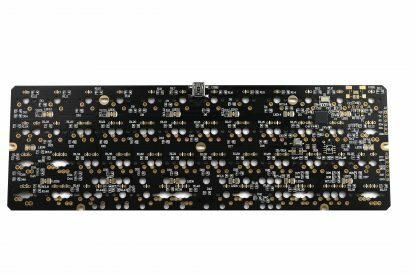 Layouts 2 and 4 need one 6.25u stabilizer. 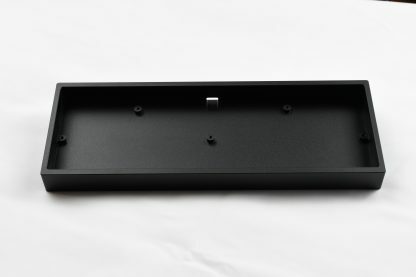 Layout 5 needs one 6u stabilizer. 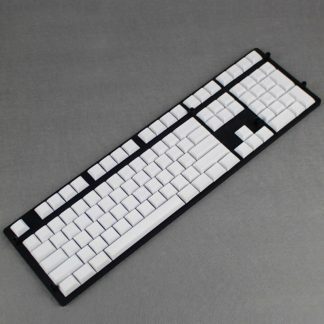 Layout 6 needs one 2u stabilizer. 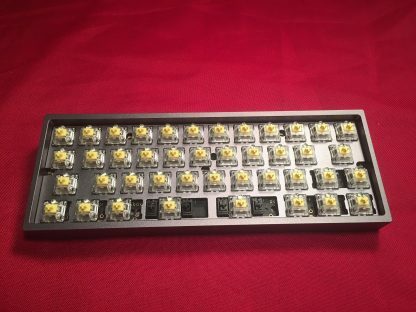 Looking for a set of keycaps that will completely cover the AMJ40? 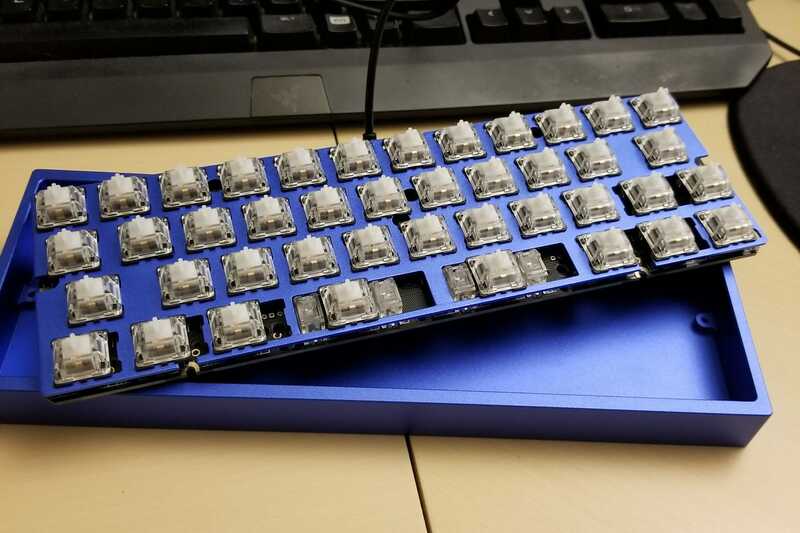 Assembly There is also the option of having the keyboard coming assembled. 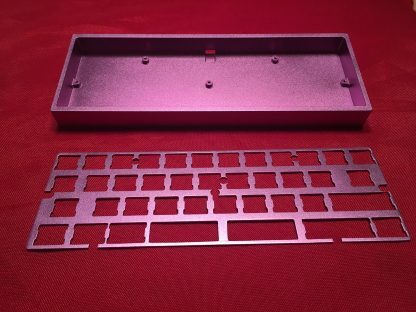 In order to get this done, you will also need to order all of the necessary additional parts listed above as well. 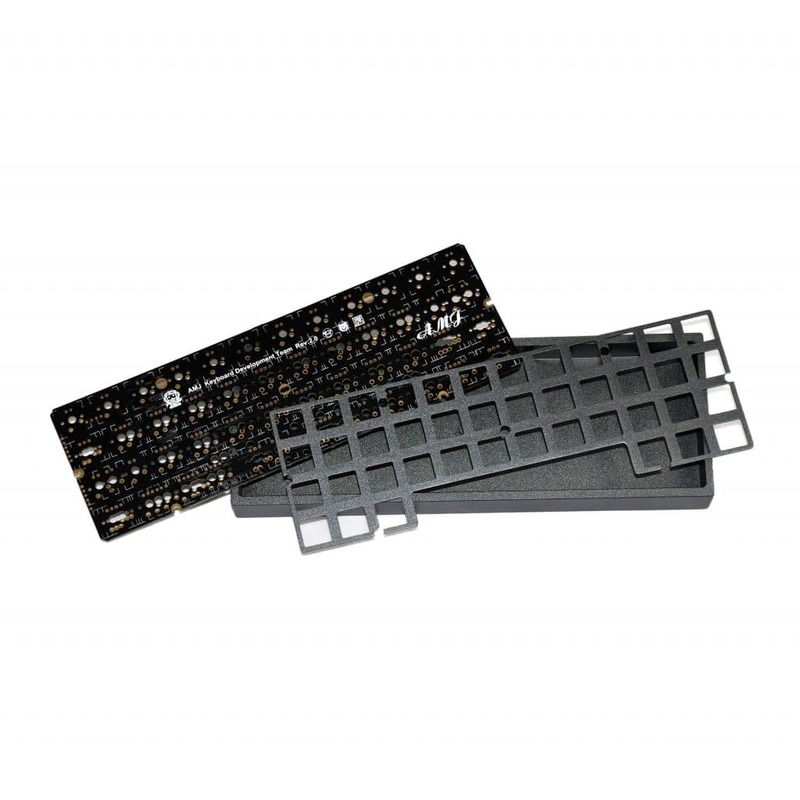 You will also need to specify which of the 6 layouts you wish to have. 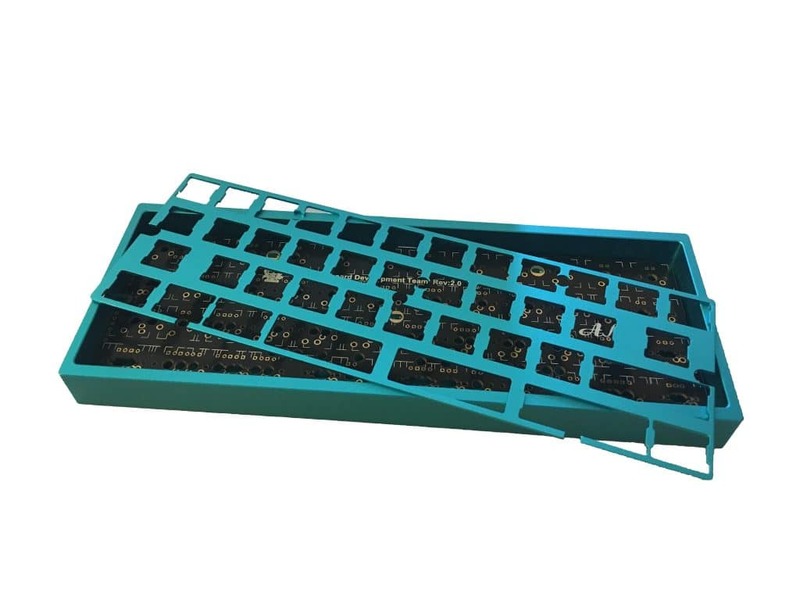 Please look at the picture below for the layouts. 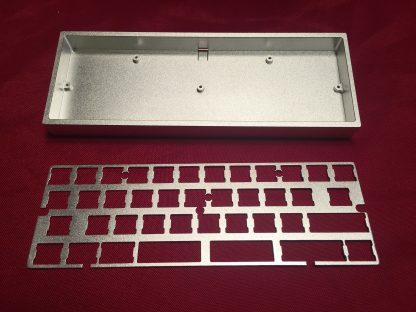 Assembly will cost $30 USD. 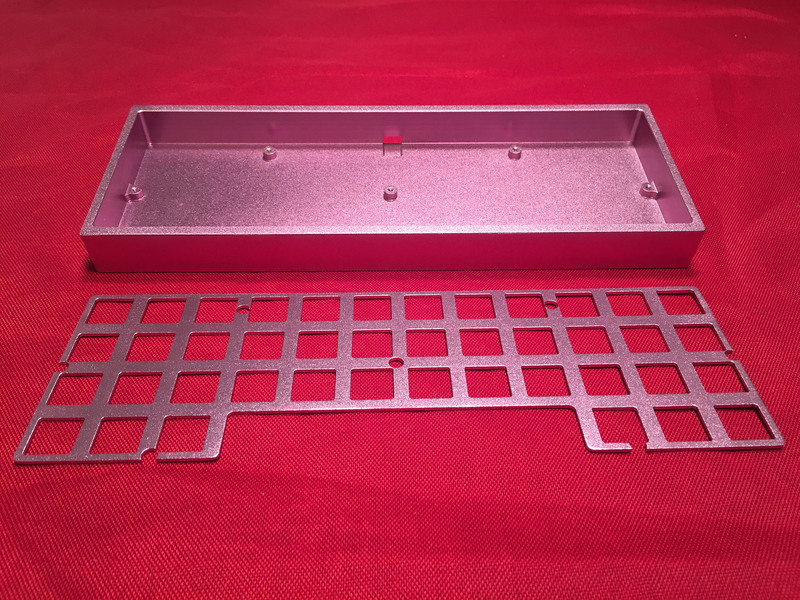 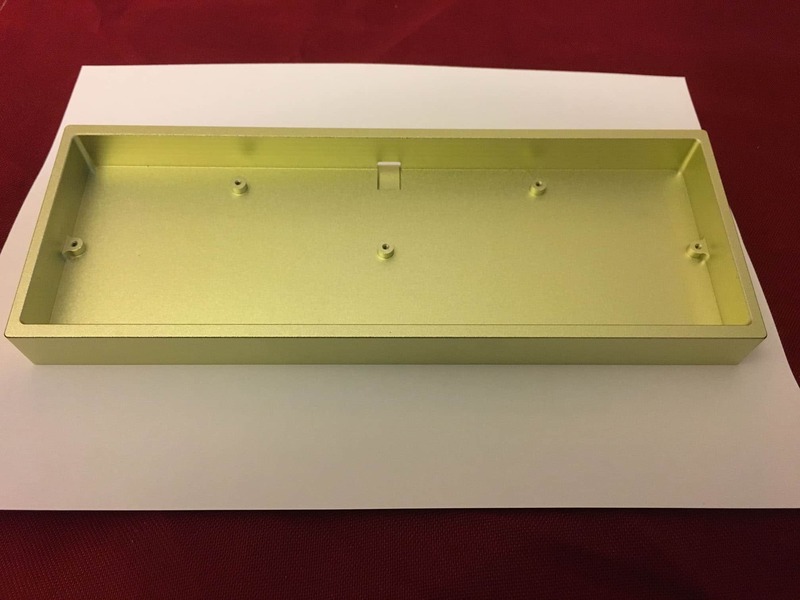 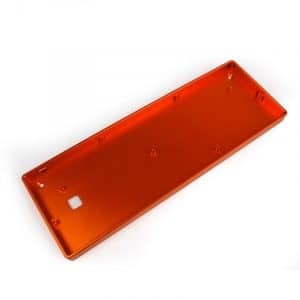 Aluminum cases come in 13 colors: Orange, Silver, Gold, Titanium Grey, Light Blue, Dark Blue, Black, Light Pink, Purple, Fluorescent Green, Yellow, Peach Red, and Red. Do not use the included firmware files that are provided with the flashing tool, as they are for the v1 board which has a different bottom row layout.